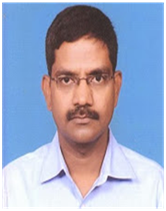 An academician having 19 years of experience in teaching, research and administrative, presently working as Head and Associate Professor at water resources, Institute of science and Technology, JNTUH, Hyderabad. Graduated in Civil engineering from Nagarjuna University (1993) and M.Tech (Water Resources Development and Management) from Indian institute of Technology (IIT), Kharagpur (1995). Obtained Ph.D in Civil Engineering from Jawaharlal Nehru Technological University Hyderabad in 2007. Research interests are Remote Sensing and GIS applications to Water Resources, integrated Water Resources Management, Watershed Management, Rainwater Harvesting and Urban Water Issues. Guided one Ph.D student and also guided 64 M.Tech and M.Sc dissertations. Presently guiding one full time research scholar and three part time Ph.D research scholars. Published 32 research papers in various UGC approved International journals, 8 National Journals, 36 International Conference and 65 National Conference papers. Organizing a series of National Conference on Water Environment and Society (NCWES) every year. Organized several National Seminars and workshops. Published three International proceedings and four National proceedings as an editor, also conducted seven training programs in the area of Geospatial applications for water resources and environmental engineering. Member of various reputed professional bodies. Worked as Coordinator for the World Bank funded project Technical Education Quality Improvement Programme (TEQIP) during 2008-2010 at IST, JNTUH and 2015- 2017. Also worked as Additional Controller of Examinations of the university from 2010 to 2014. Visited several countries for dissemination of research outputs and for exchange of ideas at places like Loss Angles, USA (2008), Honolulu, USA (2008), Bangkok, Thailand (2009) and Hanoi, Vietnam (2010). Participated in more than 50 Conferences at national and international level on themes related to subject expertise, to share views in the field of water resources. Successfully completed seven R&D projects and currently handling four research projects. With the funds received from the Central Ground Water Board, Ministry of Water Resources (MoWR), constructed 20 recharge structures in the University campus and every year 2.0 crore liters of rainwater is being harvested and recharged into the aquifers after proper filtration. Giridhar. M.V.S.S., and Viswanadh G.K, Comparison of Radiation Based Reference Evapotranspiration Equations with FAO-56 Penman Monteith Method International Journal of Computer Science and System Analysis 1(2) July-December 2007, PP. 149-158. (ISSN: 0973-7448). Ch. Ramesh Naidu and Giridhar M.V.S.S.,, Geo-spatial Database Creation for Wazirabad Canal Command Area. Journal of Geographic Information System, Vol.3 No.4, October 2011, PP.290-297 (ISSN: 2151-1950). Giridhar M.V.S.S, Chandra Bose A.S and Viswanadh G.K, Identification of Suitable Locations for Rooftop Rainwater Harvesting Structures International Journal of Applied Science and Engineering Research, Volume: 1, Issue:1, April 2011, PP: 101-106. (ISSN: 2277 - 8442). A.S.Chandra Bose, P.Sridhar, Giridhar M.V.S.S and G.K.Viswanadh, Morphometric Analysis at Mini Watershed Level Using GIS International Journal of Civil Engineering Research, ISSN 2278-3652 Volume 3, Number 3 (2012), pp. 157-171 (ISSN: 2278-3652). P.Sridhar, A.S.Chandra Bose, Giridhar M.V.S.S and G.K.Viswanadh, Watershed Delineation and Stream Network analysis using GIS International Journal of Watershed Engineering (IJWE), Vol.1, Issue 1, PP 1-13. (ISSN: 9999-0015). A.S. Chandra Bose, G.K. Viswanadh and Giridhar M.V.S.S, Computation of Watershed Parameters using Geoinformatics, International Journal of Geomatics and Geosciences, Vol.2, No: 3, 2012. pp: 770-786, (IJGGS IC Value: 4.39). (ISSN: 0976-4380). Indira Priyadarsini, Giridhar M.V.S.S, G.K.Viswanadh, Smt. M. Arathi and A.S. Chandra Bose,, Development of Spatial Analyst toolbar in ArcGIS International Journal of Advances in Remote Sensing and GIS, Vol 1 Issue:1, August 2012, PP:25-30 (ISSN: 2277-9450). Sridhar.P, Chandra Bose A.S, Giridhar M.V.S.S and Viswanadh G.K, Prioritization of Miniwatershed Based on Morphometric Analysis Using GIS International Journal of Geomatics and Geosciences, Vol 3, No: 2, 2012 pp:314-320, (IJGGS IC Value: 4.39). (ISSN: 0976-4380). Giridhar. M.V.S.S and Viswanadh. G.K.,, Evaluation of radiation based RET equations for Palleru sub basin, A.P., India International Journal of Computer Science & System Analysis, Vol.1 No.2, Dec-2007. M.V.S.S.Giridhar and P. Suneel, Net Radiation Estimation From A Remotely Sensed Data Using Sebal Model International Journal of Engineering Research , (HYDRO 2014 International) Issue Special 3 ISSN:2319-6890)(online),2347-5013(print), 18-19, Dec. 2014, pp 291-295. Giridhar M.V.S.S, Madaka Madavi, E. Ramakrishna Goud and Ramaraju Anirudh, Analysis of pressures on Nagarjunasagar Spillway EC Agriculture (ECAG) journal, Online Journal, volume I, Issue 1, January 2015, pp: 23-34. Giridhar M.V.S.S, Madaka Madavi and Ramaraju Anirudh, Assessment of pressures on Spillways Using aerators and air vent pipes International journal of Scientific and Engineering Research (IJSER), Volume 6, Issue 2, February 2015, pp: 176-180, ISSN: 2229-5518. Giridhar M. V. S. S, Trisul Kumar.G and Anirudh Ramaraju, Applications of Infiltration Studies for Effective Management of Water Resource in a Coastal Belt International Journal of Scientific & Engineering Research(IJSER), Volume 6, Issue 8, August 2015, pp:1675 -1680, ISSN: 2229-5518. Giridhar M. V. S. S, Ramaraju Anirudh, G. Sreenivasa Rao, P. Sowmya, DEM Processing for Watershed Delineation using QSWAT, International Journal of Scientific & Engineering Research, Volume 6, Issue 8, August 2015, pp:1670 -1674, ISSN: 2229-5518. Giridhar M.V.S.S., and K. Divya Chowdary, Spatial Distribution Of Ground Water Quality After Rain Water Recharge In JNTUH Campus published in International Journal of Scientific Research in Engineering and Technology Journal, volume:4, Special issue-1; eISSN: 2319-1163 | pISSN: 2321-7308 (Impact factor 3.8). 2015. Ch.Ramesh Naidu, M.V.S.S Giridhar, Un-Supervised Classification of Rice Crop using IRS LISS III Satellite Images for Wazirabad Command Area International Journal Of Engineering Development And Research 2016 IJEDR | Volume 4, Issue 2 | ISSN: 2321-9939,pp1568-1571. Giridhar M.V.S.S, Chandra Bose A.S and Viswanadh G.K, Assessment of Metrological drought using spatial information technology International Education and Research Journal (IERJ) E.ISSN: 2454-9916, volume -3, Issue-5, May 2017, pp: 588-590. Giridhar M.V.S.S. and Rameshwar Rao, Rooftop Rainwater Harvesting for Recharging Shallow Groundwater Journal of earth science climate change (JESCC) an open access journal , ISSN 2157-7617, Volume 5, 2014, Issue -6 pg:97. Ramana Rao N V, Anirudh Ramaraju, Giridhar M V S S and Viswanadh G K., Spatial analysis of surface water quality in and around GHMC using GIS International Conference on Geology., J Geol Geosci 2015 Volume 4 Issue 3 ISSN: 2329-6755, JGG an open access journal June 22-23, 2015 Florida, USA. Giridhar. M.V.S.S. and Viswanadh G.K, Rainfall –Runoff modeling using semi distributed conceptual approach International journal of recent innovation in engineering and research (IJRIER), e- ISSN: 2456 – 2084, Volume: 02 Issue: 06 June– 2017, pp 66-73. Giridhar M.V.S.S, Chandra Bose A.S, Viswanadh G.K, Assessment of Meteorological Drought Using Spatial Information Technology International Education & Research Journal [IERJ], E-ISSN No: 2454-9916, Volume: 3, Issue: 5, May 2017. Pp 588-590. Giridhar M.V.S.S., G.K.Viswanadh, A.S. Chandra Bose and V. Lalitha, Spatial Analysis of Groundwater Quality Parameters using GIS, Research revolution Journal International Journal of Social Science & Management, Volume - V, Issue - 9 30 June 2017ISSN: 2319-300ximapct factor 5.007, pp:1-8. B.Rajasekhar, G.V.Ramana, M.V.S.S.Giridhar, G.K.Viswanadh,, Effective water Distribution system using SCADA â€“ A case study of Vijayawada Municipal Corporation , Andhra Pradesh , Technology Spectrum , JNTUH, Vol.6,No.1&2, July 2013, pp.95-102. 36. M.V.S.S Giridhar and Ch. Ramesh Naidu, Regression analysis to calculate irrigation water requirements of Wazirabad command area, ISRS proceeding paper of sort interactive session of ISPRSTC VIII International Symposium on Operational Remote sensing application; opportunities, progress and challenges Hyderabad, India December 9th -12th 2014. Giridhar. M.V.S.S., A.T. Jayaseelan and K.N. Tiwari, Validation of Satellite Derived Drought Assessment through Water Balance Approach at Mandal Level, Proc. of International Conference on Hydrology and Watershed Management, organized by J.N.T.U, Hyderabad, India, during 18th – 20th December,2002. Viswanadh GK., Mohd Ali Md. and Giridhar M.V.S.S, Land use / Land cover changes in Dharmabad Watershed Procs. of the international conference on Advanced modeling techniques for sustainable management of water resources, organized by NIT, Warangal, A.P, India. January, 2004, pp338-340. Viswanadh GK., Vidyadhar M. and Giridhar M.V.S.S,, Rain fall Analysis in Ranga Reddy District procs. of the international conference on Advanced modeling techniques for sustainable management of water resources, organized by NIT, Warangal, A.P, India. January 2004, PP:. Giridhar. M.V.S.S. and Viswanadh G.K, Estimation of Reference Evapotranspiration for an Irrigation Project Site in Andhra Pradesh, India Procs of International Conference Environmental Management (ICEM-2005), during 28th-30th October 2005 at JNTU, Hyderabad, PP: .216-223(No ISBN). M.V.S.S. Giridhar, and Vsiwanadh. G.K., Irrigation Scheduling based on Actual Evapotranspiration in K-7 basin of the River Krishna, India, Procs. of the International Symposium on Recent Advances in Water Resources Development and Management-2005 (RAWRDM-2005), organized by IIT., Roorkee, during 23rd to 25th November-2005. Giridhar. M.V.S.S., and Viswanadh. G. K.,, Comparison of reference evapotranspiration equations in Andhra Pradesh, India, Proc. of International conference at Omaha, Conducted by ASCE, EWRI, Nebraska, USA in the month of March 21st 2006, PP:. Giridhar. M.V.S.S., and Viswanadh.G.K.,, Semi Distributed Runoff Model for a Semi Arid Area of Andhra Pradesh - A Geomatic Approach published in the international conference organized by IASTED in the month of 20-22 August 2007 at Honolulu, Hawaii, USA, PP: 85-90. ISBN: 978-0-88986-679-9. Giridhar. M.V.S.S. and Viswanadh G.K, Meteorological Drought Analysis in a K-11 Basin of River Krishna Using GIS, India Proceedings of the International conference on Geomatics for rural development –Achieving synergy between technical and social systems, JNTU, Hyderabad June 2006. Giridhar. M.V.S.S and Viswanadh.G.K,, Development of Semi Distributed Conceptual Rainfall?Runoff Model for a Semi Arid area using STANFORD?IV Model Procs of the international conference, organized by IASTED, at Honolulu, Hawaii, USA Aug. 2007. Giridhar. M.V.S.S., Satyanarayana B. and Viswanadh.G.K., Mapping of evapotranspiration Zones in India using GIS Proc of the international conference on Water, Environment, Energy and Society (WEES-2009) January 12-16,2009,New Delhi, India. pp 2007-2014, volume III, ISBN: 978-81-8424-401-4. Giridhar. M.V.S.S. and Viswanadh G.K, Evaluation of land use land cover changes in Palleru (K-11) sub basin of river Krishna using GIS and NDVI International conference on World Environmental and Water Resources Congress 2009 organized during May 17-21, 2009, Kansas City, Missouri, United States, ISBN (print): 978-0-7844-1036-3 pp. 1-12. Giridhar. M.V.S.S and Viswanadh. G.K.,, Evaluation of Daily Reference Evapotranspiration Using Minimum Data Procs. of the international conference organized by EWRI and ASCE in the month of 12-16 May 2008 at Honolulu, Hawaii, USA. Giridhar. M.V.S.S and Viswanadh.G.K.,, Comparison of Mc.Cloud and FAO-56 Penman-Monteith for Daily Reference Evapotranspiration Estimation for K-11 sub Basin of River Krishna, India Procs. of the international conference World Environmental & Water Resources Congress 2008 organized by EWRI and ASCE in the month of 12-16 May 2008 at Honolulu, Hawaii, USA. D. Sravani Giridhar M.V.S.S., .P. Praneeth M.K. Rami Reddy Md.Ilyasuddin, Web 2.0 Mapping Mashup Applications for Academic Universities–Comparative Case Study (Secure Google Maps API versus Microsoft Virtual Earth API), International Conference on Advanced Computing Technologies (ICACT 2008), organized at Gokaraju Rangaraju Institute of Engineering and Technology (GRIET), Hyderabad, 26 – 27 December 2008, Proceedings published by BS Publishers pp. 591 – 598., ISBN No: 971-81-7800-188-3. Giridhar. M.V.S.S., S.K.C.Acharyulu., and Viswanadh.G.K.,, Preparation of 3D Surface and Land use/land cover maps- A Geomatic Approach Proc. of the International Conference on Hydrology and Watershed Management with a focal theme on Climate change- water, Food and Environmental Security, organized by Centre for water resources, IST, Jawaharlal Nehru Technological University, Hyderabad, 03-05 Feb 2010, PP:1031-1036, ISBN: 978-81-7800-224-8. A.S. Chandra Bose, Giridhar. M.V.S.S and Viswanadh. G.K, Land Use Land Cover Classification – A Geomatic Approach Proc of the international conference 31st Asian Conference on Remote Sensing 2010 (ACRS 2010), held during 01-05 November, 2010 at Hanoi, Vietnam. Pp 686- 693, ISBN: 9781617823978. A.S. Chandra Bose, Giridhar. M.V.S.S. and Viswanadh. G.K.,, Identification of Ground Water Potential Zones using RS and GIS Proc of the international conference 31st Asian Conference on Remote Sensing 2010 (ACRS 2010), held during 01-05 November, 2010 at Hanoi, Vietnam. Pp 327-333, ISBN: 9781617823978. A.S.Chandra Bose, P.Sridhar, Giridhar M.V.S.S and G.K.Viswanadh, Morphometric Analysis of Mini watersheds using Geomatics Proc of the 14th International Conference on Computing in Civil and Building Engineering in Moscow, Russia, held on 27th -29th, June 2012. ISBN 978-5-93093-877-7. A.S. Chandra Bose, Giridhar M.V.S.S., S.Ramulu and G.K.Viswanadh, Geomatics for Spatial Analysis of Rainfall proceedings of 5th international conference on Water, Climate and environment during 28th May to 02nd June, 2012 at Ohrid, Republic of Macedonia, pp 1-7. ISSN 978-608-4510-10-9. Giridhar M.V.S.S., B. Srinivasa rao, A.S. Chandra Bose and G.K.Viswanadh, A Geomatic Approach to Drought Analysis Procs. of International conference on towards geo-enabled economy, scheduled during 22-24 Jan 2013, organized by India Geospatial Forum at Hyderabad. Chandra Bose A.S, Giridhar M.V.S.S, Venkateswar Rao Ch and Viswanadh G.K, Identification of Suitable Locations for Micro Hydro Power Stations using Geo-spatial Technology Proc of International Conference on World Environmental and Water Resources congress, EWRI 2013 at Cincinnati, Ohio, held on 19-23, May,2013. Pp 1377- 1381 ISBN: 978-1-62748-811-2. Chandra Bose A.S, Giridhar M.V.S.S and Viswanadh G.K GIS, based fully distributed rainfall-runoff model for suggesting alternate land use patterns Proc of International Conference on World Environmental and Water Resources congress, EWRI 2013 at Cincinnati, Ohio, held on 19-23, May,2013. PP2060-2067 ISBN: 978-1-62748-811-2. Giridhar M.V.S.S, Chandra Bose A.S and Viswanadh G.K, Application of Micro Air Vehicle Technology for Crop Management Studies International conference on recent advances in design, development and operation of micro air vehicle(ICRAMAV-2012), organized by JNTUH, Hyderabad scheduled during 10-12,December,2012.pp 269-272. ISBN: 978-81-7800-281-1. P. Sowmya, Giridhar M.V.S.S. and M. Prabhakar, Hyperspectral Remote Sensing Based Crop Inventory- A Review Proceedings of 4th International Conference on Hydrology and Watershed Management(ICHWAM_2014) with a Focal Theme on Ecosystem Resilience - Rural and Urban Water Requirements organized by CWR, JNTUH on October 29th – 1st November 2014, volume 1, Pp 197-205, ISBN: 978-81-8424-952-1. Ramaraju Anirudh and Giridhar M.V.S.S., Assessment of impacts on surface water bodies due to urbanization using Geomatics Proceedings of 4th International Conference on Hydrology and Watershed Management (ICHWAM_2014) with a Focal Theme on Ecosystem Resilience - Rural and Urban Water Requirements organized by CWR, JNTUH on October 29th – 1st November 2014, volume 1, pp 386-390.ISBN: 978-81-8424-952-1. M.V.S.S Giridhar and Anirudh Ramaraju, Assessment of surface water quality and its effects on human health in and around GHMC International Conference on Modelling tools for sustainable water resources management organized by department of civil engineering, Indian Institute of Technology Hyderabad on 26th – 29th December 2014. Ramaraju Anirudh and Giridhar M.V.S.S., Spatial analysis of surface water quality using GIS has been accepted for oral presentation and publication in Proceedings of 20th International Conference on Hydraulics, Water Resources and River Engineering organized by civil engineering department of the Indian Institute of Technology Roorkee, under the aegis of the Indian Society for Hydraulics (ISH) from December 17 to 19, 2015., Hydro 2015 International. P. Sowmya, Giridhar M.V.S.S. and Rathod Ravinder, Spectral Response For Different Soils Under Varying Moisture Conditions 37th Asian conference on Remote sensing-promoting spatial data infrastructure for sustainable economic development conducted on 17th -21st October 2016 Colombo Srilanka. V.T. Varuna Mithra, R. Sharmila and Giridhar M.V.S.S., Economical Hybrid Power Systems Proceedings of Two day National conference on Water, Environment and Society organized by CWR, JNTUH on June 30th – July 1st 2014 Published by BS Publications ISBN: 978-93-83635-13-9 pp 238-242. Arfath A. Khan, M. Anjaneya Prasad and Giridhar M.V.S.S., Simulation of Ground Water Recharge Estimation for Soil Water Balance Method Proceedings of Two day National conference on Water, Environment and Society organized by CWR, JNTUH on June 30th – July 1st 2014 Published by BS Publications ISBN: 978-93-83635-13-9 pp320-326. K.B. Rekha and Giridhar M.V.S.S., Assessment of Water Quality Index of Groundwater Samples in Kattedan Industrial Area, Ranga Reddy District, Andhra Pradesh, India Proceedings of Two day National conference on Water, Environment and Society organized by CWR, JNTUH on June 30th – July 1st 2014 Published by BS Publications ISBN: 978-93-83635-13-9 pp 327-335. Shravan Kumar and Giridhar M.V.S.S, 2-D Resistivity and Induced Polarization Surveys for Charecterisation of Hard Rocks in Kudliar Watershed, Medak District, AP. Proceedings of Two day National conference on Water, Environment and Society organized by CWR, JNTUH on June 30th – July 1st 2014 Published by BS Publications ISBN: 978-93-83635-13-9 pp 352-358. Ch. Ramesh Naidu and Giridhar M.V.S.S., Estimation of Net Irrigation Water Requirements for Different Soils in a Canal Command area Proceedings of Two day National conference on Water, Environment and Society organized by CWR, JNTUH on June 30th – July 1st 2014 Published by BS Publications ISBN: 978-93-83635-13-9 pp 544-549. P. Sowmya, Giridhar M.V.S.S and M. Prabhakar, Development of Spectral Library for different Crops using Spectroradiometer Proceedings of Two day National conference on Water, Environment and Society organized by CWR, JNTUH on June 30th – July 1st 2014 Published by BS Publications ISBN: 978-93-83635-13-9 pp 556-561. G.K. Viswanadh, B. Rajesh Reddy, G. Sarath Chandra and Giridhar M.V.S.S, Integrated Watershed Management by using Remote Sensing and Geographical Information System: A Case Study Proceedings of Two day National conference on Water, Environment and Society organized by CWR, JNTUH on June 30th â€“ July 1st 2014 Published by BS Publications ISBN: 978-93-83635-13-9 pp-566-576. Giridhar M.V.S.S, Quantitative and Qualitative Assessment of Ground Water due to Recharge of Rainwater The Proceedings of Two day National conference on Dryland Agriculture in Vadarbha priorities and Development issues organized by Vidarbha association for research, technology and development in agricultural and rural sectors (VART-DARS) on March 3rd – 4th 2015, Akola (Maharashtra) PP:14-23. Giridhar M.V.S.S, Urban Waste Impacts on Surface Water Resources in and Around GHMC The Proceedings of Two day National conference on Sustainable Evironment through Green Energy, organized by Andhra Loyola college, on Feb 27th and 28th 2015,Vijayawada. Giridhar M.V.S.S, Haseena, and L.Surinaidu,, Assessment of Groundwater and Surface Water Resources in the Godavari basin Proceedings of 2nd Two day National conference on Water, Environment and Society organized by CWR, JNTUH on 30th – 31st July 2015 Published by BS Publications ISBN: 978-93-83635- 87-0 pp 309-314. Giridhar M.V.S.S, Madavi Madaka and Anirudh Ramaraju, Investigation of Pressures on Spillways by providing Air Vents Proceedings of 2nd Two-day National conference on Water, Environment and Society organized by CWR, JNTUH on 30th – 31st July 2015 Published by BS Publications ISBN: 978-93-83635-87-0. pp 490-496. Giridhar M.V.S.S, and Anirudh Ramaraju, Digital Elevation Model Generation Using SRTM Proceedings of 2nd Two-day National conference on Water, Environment and Society organized by CWR, JNTUH on 30th – 31st July 2015 Published by BS Publications ISBN: 978-93-83635-87-0 pp 635-638. Giridhar M.V.S.S, and Anirudh Ramaraju, QSWAT Model Application in Watershed Delineation- A Case Study, Tirupathi Proceedings of 2nd Two-day National conference on Water, Environment and Society organized by CWR, JNTUH on 30th – 31st July 2015 Published by BS Publications ISBN: 978-93-83635-87-0 pp 639-643. S. Venkat Charyulu, G. K. Viswanadh and M. V. S. S Giridhar, Reservoir Capacity Evaluation using Different Techniques A Case Study of Himayat Sagar Reservoir Proceedings of 2nd Two-day National conference on Water, Environment and Society organized by CWR, JNTUH on 30th – 31st July 2015 Published by BS Publications ISBN: 978-93-83635-87-0 pp 86-94. Giridhar M.V.S.S, and S. Kalavathy, Low Cost Adsorbents For Removal Of Flouride From Water Proceedings of 3rd National conference on Water, Environment and Society NCWES 2016 organized by CWR, JNTUH on 6th –8th June 2016 Published by BS Publications ISBN: 978-98-5230-124-9 pp 210-214. Giridhar M.V.S.S, and S. Kalavathy, Assessment Of Arsenic And Chromium In Hussain Sagar Lake And Their Effects On Human Health Proceedings of 3rd National conference on Water, Environment and Society NCWES 2016 organized by CWR, JNTUH on 6th –8th June 2016 Published by BS Publications ISBN: 978-98-5230-124-9 pp 219-223. Giridhar M.V.S.S, and S. Kalavathy, A Study on the use of Alum for turbidity removal in Synthetic water Proceedings of 3rd National conference on Water, Environment and Society NCWES 2016 organized by CWR, JNTUH on 6th –8th June 2016 Published by BS Publications ISBN: 978-98-5230-124-9 pp 263-266. Giridhar M.V.S.S, and Anirudh Ramaraju, Qualitative study of pre-monsoon and Post-monsoon status of different chemical parameters of water samples collected from various surface water bodies in GHMC Proceedings of 3rd National conference on Water, Environment and Society NCWES 2016 organized by CWR, JNTUH on 6th –8th June 2016 Published by BS Publications ISBN: 978-98-5230-124-9 pp 267-275. Giridhar M.V.S.S, G.Srinivas Rao, Ramya Uppala and Vikram Singh, Rain fall trend analysis: A case study of Godavari sub basin- kadam water shed, Adilabad District, Telangana State Proceedings of 3rd National conference on Water, Environment and Society NCWES 2016 organized by CWR, JNTUH on 6th –8th June 2016 Published by BS Publications ISBN: 978-98-5230-124-9 pp 307-312. Giridhar M.V.S.S, P.Sowmya and Rathod Ravinder, Hyperspectral Response pattern of Red soils under varying moisture conditions Proceedings of 3rd National conference on Water, Environment and Society NCWES 2016 organized by CWR, JNTUH on 6th –8th June 2016 Published by BS Publications ISBN: 978-98-5230-124-9 pp 372-376. P. Sowmya, and Giridhar M.V.S.S, Engendering Spectral Library for Different Species of Poaceae Using Spectroradiometer National Conference on Water Resources Management in Coastal Regions during 8th -9th December 2016 in Deltaic Regional Centre, National Institute of Hydrology, Kakinada, AP, Abstract published, pg: 81. Rathod Ravinder and Giridhar M.V.S.S, Spectral Response Of Tomato Crop In Uncontrolled And Controlled Farming National Conference on Water Resources Management in Coastal Regions during 8th -9th December 2016 in Deltaic Regional Centre, National Institute of Hydrology, Kakinada, AP, Abstract published, pg: 86. Shyama Mohan, Giridhar M.V.S.S, G. Srinivas and P. Sowmya Spatial And Temporal Variability Of Rainfall In Kaddam Watershed Using Geomatics, National Conference on Water Resources Management in Coastal Regions during 8th -9th December 2016 in Deltaic Regional Centre, National Institute of Hydrology, Kakinada, AP, Abstract published pg: 45. M.V.S.S. Giridhar and G.K. Viswanadh, Urban Rainwater Recharge– A New Approach National conference on energy and environment 16-17th September 2016 Electrotek 2016, Coimbatore. Organized by Indian Institute of Technology Madras. Veeramallu Satya Sahithi , M V S S Giridhar , G. Ravi Shankar , I V Murali Krishna.,, Investigating The Effect Of Size Of The Training Sample On Mlc, Svm, Ann And Sam Algorithms On Hyperion Data For Lulc Classification National Conference on Water Environment and Society 2017,(NCWES-2017) organized during 16th-18th march 2017 in centre for water resources, IST, JNTUH. pp 492. Padmaja G, Dr MVSS Giridhar , Sreenivasa Rao G, Shiva Chandra,., An Assessment on Impact of Land Use Land Cover Changes on Urban Watershed Management – A Case Study of Hyderabad Region National Conference on Water Environment and Society 2017,(NCWES-2017) organized during 16th-18th march 2017 in centre for water resources, IST, JNTUH, pp 355. Anirudh Ramaraju and M.V.S.S, Giridhar Quality Assessment of Surface Water Bodies in and around GHMC, National Conference on Water Environment and Society 2017,(NCWES-2017) organized during 16th-18th march 2017 in centre for water resources, IST, JNTUH pp 322. P.Sowmya and M.V.S.S. Giridhar., Extemporizing Spectral Signatures Using Spectroradiometer For Different Species Of Family Graminaceae National Conference on Water Environment and Society 2017,(NCWES-2017) organized during 16th-18th march 2017 in centre for water resources, IST, JNTUH, pp 376. P. Soumya Kiran, A.S.Chandra Bose, M.V.S.S.Giridhar,, Identification Of Suitable Method For Estimation Of Reference Evapotranspiration For Paleru Sub Basin Of River Krishna, National Conference on Water Environment and Society 2017,(NCWES-2017) organized during 16th-18th march 2017 in centre for water resources, IST, JNTUH, pp 56. S. Kalavathy, M.V.S.S. Giridhar and G K Viswanadh,, A Jar Test Study On The Use Of Alum And Ferric Chloride For Turbidity Removal National Conference on Water Environment and Society 2017,(NCWES-2017) organized during 16th-18th march 2017 in centre for water resources, IST, JNTUH, pp 339. G. Sreenivasa Rao, M.V.S.S. Giridhar and Shyama Mohan, Rainfall analysis with reference to Spatial and Temporal in Kaddam Watershed Using Geomatics, National Conference on Water Environment and Society 2017,(NCWES-2017) organized during 16th-18th march 2017 in centre for water resources, IST, JNTUH, pp 540. Rathod Ravinder, Dr.M.V.S.S.Giridhar and P.Sowmya,, Spectral Response Of Cluster Beans Crop, National Conference on Water Environment and Society 2017,(NCWES-2017) organized during 16th-18th march 2017 in centre for water resources, IST, JNTUH, pp 383. S. Kalavathy and M.V.S.S. Giridhar, Effective Use Of Chemical Coagulants For Reducing Total Organic Carbon, National Conference on Water Environment and Society 2017,(NCWES-2017) organized during 16th-18th march 2017 in centre for water resources, IST, JNTUH pp 388. Rathod Ravinder, Dr.M.V.S.S.Giridhar and P.Sowmya,, Spectral Reflectance From The Tomato Crop Canopy Under Controlled Condition By Using Spectroradiometer National Conference on Water Environment and Society 2017,(NCWES-2017) organized during 16th-18th march 2017 in centre for water resources, IST, JNTUH, pp 392. M.V.S.S.Giridhar,, Rain water harvesting, use and artificial recharge in urban Scenario, Seminar On Sustainable Water Management, on the occasion of 215th Birthday Celebrations Of General Sir Arthur Thomas Cotton, organized by The Institution of Engineers (IEI), 15th May 2017 Hyderabad, pp 14-22. Giridhar M.V.S.S. and Viswanadh G.K.,, Water Resources Development in India Through Inter-Linking of Rivers, Procs of the National Seminar on Interlinking of Rivers- Water Planning and Management, Organized by Department of Civil Engineering and Industry-Institute Partnership Cell, RVR&JC College of Engineering, Chowdaravaram, Guntur, A.P., India on 20th – 21st January, 2003. Viswanadh, G.K., and Giridhar M.V.S.S.,, Water Management Perspective Through Linking Of Rivers, Procs of the National Seminar on Inter-Linking of Rivers- Water Planning and Management, Organized by Department of Civil Engineering and Industry-Institute Partnership Cell, RVR&JC College of Engineering, Chowdaravaram, Guntur, A.P., India on 20th – 21st January, 2003. Viswanadh, G.K., and Giridhar M.V.S.S.,, Semi-distributed Conceptual Rainfall-Runoff Model – A Review, Proc of the National Conference on Developments in Engineering & Technology (DIET), Organized by Institute of Engineers and Kakathiya Institute of Technology and Science, Warangal, A.P., India on 23-03-2003 PP:11-18. Viswanadh G.K., Giridhar M.V.S.S. and Mohd. Ali,, GIS Model for seasonal changes of a watershed Procs. of the National Conference on Water Resources Development and Management Practices (WARM-2004), organized by M.V.S.R. Engineering College, Hyderabad, on 27th February, 2004. Ms. B. Prathyusha Priya Darshini, Ms. P. Saranya and Giridhar. M.V.S.S, Rain Water Harvesting- As a tool for water Crisis in urban Area. Proc of the National conference on Design and analysis of Aero/Mech systems during 5th & 6th October, 2006, organized by Department of Aeronautical Engineering Malla Reddy College of Engineering and Technology, Dhullapalli, Secunderabad PP 19 (only abstract, No ISBN). Mr. G. Prashanth, Ms K. PAllavi and Giridhar. M.V.S.S, Rubber dams- As a Tool for Total Water Resources Management in India. Proc of the National conference on Design and analysis of Aero/Mech systems during 5th & 6th October, 2006, organized by Department of Aeronautical Engineering Malla Reddy College of Engineering and Technology, Dhullapalli, Secunderabad PP 20 (only abstract, NO ISBN). Ms.Sanjana Bhat, Ms. D. Swathi and Giridhar. M.V.S.S, Tidal Energy a non Conventional Source of energy. Proc of the National conference on Design and analysis of Aero/Mech systems during 5th & 6th October, 2006, organized by Department of Aeronautical Engineering Malla Reddy College of Engineering and Technology, Dhullapalli, Secunderabad PP 22 (only abstract, NO ISBN). Giridhar. M.V.S.S., Viswanadh.G.K. and S.K.C.Acharyulu, Surface Analysis using GIS Procs of the National Conference on Soft Computing Applications in Water Resources & Environmental Engineering (NC-SCAWREE – 2007) organized by Osmania College of Engineering, Hyderabad during 14th – 15th December 2007.pp 57-63. (No ISBN). Giridhar M.V.S.S., A.S.Chandra Bose, V.Lalitha, G.K.Viswanadh and S.K.C. Acharylu, Study of Spatial Distribution of Groundwater Quality Parameters in GIS environment from Krishna delta, Andhra Pradesh, Proc. of National workshop on ‘Application of remote sensing and GIS in water resources management’. 10th March, 2010 pp. 93-100, conducted by CGWB. Ch. Ramesh Naidu and Giridhar M.V.S.S The Necessity of GIS in calculating Canal, Conveyance Losses on irrigation command area National Conference on Sustainable Water Resources Management and Impact of Climate Change organized by Civil Engineering Group, BITS-PILANI, Hyderabad on 5-6, March,2010. PP 313-325 (No ISBN). Giridhar M.V.S.S., A.S. Chandra Bose and G.K.Viswanadh, A Geomatic Approach to Rooftop Rainwater Harvesting in Urban Scenario National Conference on Water Crisis Management Under Changing Climate 16-17, November, 2012 organized by Guggly center for Biological research, pp:1&2. Ramesh Naidu.C., Giridhar, M.V.S.S., Sanghamitra Ghosh.,, Calculation of Irrigation demand – An Integrated approach using Remote Sensing, GIS and CROPWAT Tool, Proceedings of National Symposium on Space Technology for Food and Environmental Security and Annual Conventions of Indian Society of Remote Sensing and Indian Society of Geomatics, organized by Indian society of Remote Sensing, on Dec 5th - 7th 2012, New Delhi, pp: 25-26. B.Ravinder, Giridhar M.V.S.S, Residual Energy and Relative Loss of Energy on Stepped Spillway Proc of National Conference on Sustainable Water Resources Planning, Management and Impact of Climate Change held at BITS-Pilani, Hyderabad Campus during April 5-6, 2013, organized by Centre of Excellence in Water Management, Department of Civil Engineering pp 61(no ISBN abstract only)..
Chalumuri Ramesh Naidu and Giridhar M.V.S., S WUA and Canal Wise Scheduling of Irrigation Water in Wazirabad Command Area Proc of National Conference on Sustainable Water Resources Planning, Management and Impact of Climate Change held at BITS-Pilani, Hyderabad Campus during April 5-6, 2013, organized by Centre of Excellence in Water Management, Department of Civil Engineering, PP 42 (no ISBN abstract only). Pavan BV, D Bhavya Kavitha, M Sarada, Giridhar M.V.S.S., P Manavalan, Statistical Evaluation of Satellite Estimated TMPA 3b42 Version 7 Daily Rainfall Product with Reference to AWS Surface Gauge Data of Indian River Basins Proc of National Conference on Sustainable Water Resources Planning, Management and Impact of Climate Change held at BITS-Pilani, Hyderabad Campus during April 5-6, 2013, organized by Centre of Excellence in Water Management, Department of Civil Engineering, pp 38 (no ISBN abstract only). Darshanala Ashok, G.K. Viswanadh, A.S. Chandra Bose and Giridhar M.V.S.S., Rainfall-Runoff Modeling – A Geomatic Approach Proceedings of Two day National conference on Water, Environment and Society organized by CWR, JNTUH on June 30th – July 1st 2014 Published by BS Publications ISBN: 978-93-83635-13-9 pp 102-110. G. Sreenivasa Rao, A. Manjunath and Giridhar M.V.S.S., Studies on Impact of Mining on Surface and Groundwater in Chimakurthi Mandal of Prakasam District, Andhra Pradesh, India Proceedings of Two day National conference on Water, Environment and Society organized by CWR, JNTUH on June 30th – July 1st Published by BS Publications ISBN: 978-93-83635-13-9 2014 pp 152-155. Presently working as Head in Centre for Water Resources Institute of Science and Technology, JNTUH, Kukatpally, since February 2015 till Date. Presently working as Associate Professor in Centre for Water Resources Institute of Science and Technology, JNTUH, Kukatpally, since February2015 till Date. Presently working as Coordinator for Centre for Earth Atmosphere & Water Management Technology (CEAWMT), IST, JNTUH & Coordinator for TEQIP-II, IST, JNTUH, Kukatpally. Worked as Assistant professor in Centre for Water Resources, Coordinator as Centre for Earth Atmosphere & Water Management Technology (CEAWMT), IST, JNTUH, Coordinator as TEQIP-II, IST, JNTUH Institute of Science and Technology, JNTU, Kukatpally, since October 2006 to February2015. Worked as Asst. Prof. & In-Charge Head of the Department in C.M.R. College of Engineering & Technology, Medchal, Hyderabad from August 2002 to June 2004. Worked as a teaching assistant in JNTU College of Engineering, Hyderabad from June 2002 to August 2002. Worked as a lecturer in S.V.K.P. Polytechnic, Cumbum from April 1999 to May 2002. Worked as a Design In-Charge in M/s Jain Irrigation Systems limited, Jalagon, Maharastra from April 1995 to March1999. 1. “Geo-Spatial Applications for planning of RWS Schemes” Training Programme on Feasibility Studies, Engineering Survey and Design and Planning and Design of MVS during 25 – 30 June, 2012 at ESCI Campus, Hyderabad on 26th June,2012. 2. “Spatial Decision support System for groundwater quality management at village level” Training Programme on Feasibility Studies, Engineering Survey and Design and Planning and Design of MVS during 25 – 30 June, 2012 at ESCI Campus, Hyderabad on 28th August,2012. 3. Delivered a expert lecture on “Geo-Spatial Applications for water resources” in a two day workshop on recent advances in civil engineering during 31-08-2012 to 01-09-2012 at CMR Institute of Technology, Kandlakoya(V), Hyderabad for the teaching faculty of engineering colleges to improve their knowledge and teaching skills on 31-08-2012 from 2.00 to 5.15 pm. 4. Delivered lecture on “RS&GIS applications for RWS&S Schemes” in a training Programme on RWS&S Schemes: Planning and Design of Distribution System and Software Applications including EPANET during 10 – 15 September, 2012 at ESCI Campus, Hyderabad on 11th September,2012. 5. Delivered lecture on “Water quality assessment using remote sensing techniques” in the training Programme on water quality monitoring, surveillance and assessment of rural water supply and sanitation schemes during 16 – 19 October, 2012 at ESCI Campus, Hyderabad on 19th October,2012. 6. Delivered lecture on “RS and GIS applications for RWS schemes” in a training Programme on planning, investigation, design and implementation of rural water supply multi village schemes including use of total station and IT applications during 19 – 30 November, 2012 at ESCI Campus, Hyderabad on 20th November,2012. 7. Delivered lecture on “RS and GIS applications for RWS schemes” in a training Programme on planning, investigation, design and implementation of rural water supply multi village schemes including use of total station and IT applications during 28 – January – 08 Feb, 2013 at ESCI Campus, Hyderabad on 01st Feb,2013. 8. Delivered lecture on “Groundwater quality assessment using geospatial technologies” in a UGC sponsored three week interaction programme on GIS based Engineering and Science Applications scheduled from 25-03-2013 to 18-04-2013 at UGC-ASC JNTUH on 10-04-2013. 9. Delivered lecture on “Data Editing & GIS data Model” in a UGC sponsored three week refresher course on GIS based Engineering Applications scheduled from 25-02-2013 to 16-03-2013 at UGC-ASC JNTUH on 02-03-2013. 10. Delivered lecture on “Geospatial Applications for Evapotranspiration” in a UGC sponsored three week refresher course on Satellite data applications in weather and climate change scheduled from 18-03-2013 to 10-04-2013 at UGC-ASC JNTUH on 20-03-2013. 11. Delivered lecture on “Geospatial applications for groundwater management” in a UGC sponsored three week refresher course on GIS based Engineering Applications scheduled from 25-02-2013 to 16-03-2013 at UGC-ASC JNTUH on 26-03-2013. 12. Part of brain storming session on climatic change and urban flooding scheduled on 6-04-2013 along with Prof. Mujumdar, IISC Bangalore, Prof. Srinivasan, IIT Chennai, Prof KP Sudheer, IIT, Chennai and Dr.Vijaya Kumar, NIH, Kakinada on the dais. 13. Delivered lecture on “Data Editing & GIS data Model” in a UGC sponsored three week interaction programme on GIS based Engineering and Science Applications scheduled from 25-03-2013 to 18-04-2013 at UGC-ASC JNTUH on 26-03-2013. 14. Delivered lecture on “Rainfall-Runoff Modelling using GIS” in a UGC sponsored three week interaction programme on GIS based Engineering and Science Applications scheduled from 25-03-2013 to 18-04-2013 at UGC-ASC JNTUH on 12-04-2013. 15. Delivered lecture on “Groundwater quality assessment using geospatial technologies” in a UGC sponsored three week interaction programme on GIS based Engineering and Science Applications scheduled from 25-03-2013 to 18-04-2013 at UGC-ASC JNTUH on 10-04-2013. 16. Delivered lecture on “Design and selection of pumps in water supply” in a MoDWS, GOI, New Delhi sponsored interaction programme on Establishment of Operation and maintenance of Rural Water Supply & Sanitation schemes scheduled from 07-10-2013 to 11-10-2013 ESCI, Hyderabad on 09-10-2013. 17. Delivered lecture on “types of pumps-design and selection criteria for water supply pumps including performance curves” in a MoDWS, GOI, New Delhi sponsored interaction programme on Establishment of Operation and maintenance of Rural Water Supply & Sanitation schemes scheduled from 10-09-2013 to 12-09-2013 ESCI, Hyderabad on 10-09-2013. 18. Delivered lecture on “RS &GIS Application for RWS&S Schemes case studies” in a MoDWS, GOI,New Delhi sponsored interaction programme on Establishment of Operation and maintenance of Rural Water Supply& Sanitation schemes scheduled from 29-07-2013 to 03-08-2013 ESCI, Hyderabad on 01-08-2013. 19. Delivered lecture on “selection and design of pumps” in a MoDWS, GOI, New Delhi sponsored interaction programme on Establishment of Operation and maintenance of Rural Water Supply & Sanitation schemes scheduled from 10-09-2013 to 12-09-2013 ESCI, Hyderabad on 10-09-2013. 20. Delivered lecture on “selection and design of pumps” in a MoDWS, GOI, New Delhi sponsored interaction programme on Establishment of Operation and maintenance of Rural Water Supply & Sanitation schemes scheduled from 23-10-2013 to 25-10-2013 ESCI, Hyderabad on 23-10-2013. 21. Delivered lecture on “selection and design of pumps” in a MoDWS, GOI, New Delhi sponsored interaction programme on Establishment of Operation and maintenance of Rural Water Supply & Sanitation schemes scheduled from 10-12-2013 to 12-12-2013 ESCI, Hyderabad on 11-12-2013. 22. Delivered lecture on “selection and design of pumps” in a MoDWS, GOI, New Delhi sponsored interaction programme on Establishment of Operation and maintenance of Rural Water Supply & Sanitation schemes scheduled from 25-09-2013 to 27-09-2013 ESCI, Hyderabad on 25-09-2013. 23. Delivered lecture on “selection and design of pumps” in a MoDWS, GOI ,New Delhi sponsored interaction programme on Establishment of Operation and maintenance of Rural Water Supply & Sanitation schemes scheduled from 10-12-2013 to 12-12-2013 ESCI, Hyderabad on 11-12-2013. 24. Delivered lecture on “selection and design of pumps” in a MoDWS, GOI, New Delhi sponsored interaction programme on Establishment of Operation and maintenance of Rural Water Supply & Sanitation schemes scheduled from 10-09-2013 to 12-09-2013 ESCI, Hyderabad on 10-09-2013. 25. Delivered lecture on “selection and design of pumps” in a MoDWS, GOI, New Delhi sponsored interaction programme on Establishment of Operation and maintenance of Rural Water Supply & Sanitation schemes scheduled from 22-01-2014 to 24-01-2014 ESCI, Hyderabad on 22-01-2014. 26. Delivered lecture on “selection and design of pumps” in a MoDWS, GOI, New Delhi sponsored interaction programme on Establishment of Operation and maintenance of Rural Water Supply & Sanitation schemes scheduled from 12-02-2014 to 14-02-2014 ESCI, Hyderabad on 12-02-2014. 27. Delivered lecture on “water assurance &safety plans” in a MoDWS, GOI, New Delhi sponsored interaction programme on Establishment of Operation and maintenance of Rural Water Supply & Sanitation schemes scheduled from 15-07-2013 to 19-07-2013 ESCI, Hyderabad on 17-07-2013. 28. Delivered lecture on “types of pumps-design and selection criteria for water supply pumps including performance curves” in a MoDWS, GOI, New Delhi sponsored interaction programme on Establishment of Operation and maintenance of Rural Water Supply & Sanitation schemes scheduled from 12-08-2013 to 14-08-2013 ESCI, Hyderabad on 12-08-2013. 29. Delivered lecture on “types of pumps-design and selection and Maintaince” in a APRWSSP, GoAP, Hyderabad sponsored interaction programme on Design selection installation and operation &maintenance of pumping equipment including pumping main, pipes and valves scheduled from 19-12-2013 to 22-12-2013 ESCI, Hyderabad on 19-12-2013. 30. Delivered lecture on “water security assurance-water conservation and rain water harvesting structures including design and construction aspects” in a PSU, APRWSSP,GOAP ,Hyderabad sponsored interaction programme on Water conservation and rainwater harvesting structures including design and construction aspects scheduled from 02-08-2013 to 06-08-2013 ESCI, Hyderabad on 04-08-2013. 31. Delivered lecture on “selection design and o&m of pumps”PSU, APRWSSP, Govt.of A.P sponsored interaction programme on Establishment of Operation and management systems for SVS&MVS scheduled from 20-01-2014 to 24-01-2013 ESCI, Hyderabad on 23-01-2014. 32. Delivered lecture on “types of pumps/selection of pumps and o&m of pumps” training programme for the Newly recruited RWS&S ENGINEERS,GOVT.OF A.P scheduled from 21-10-2013 to 17-11-2013 ESCI, Hyderabad on 04-11-2013. 33. Delivered lecture on “Surge Analysis” training programme for the Newly recruited RWS&S ENGINEERS,GOVT.OF A.P scheduled from 06-11-2013 to 03-12-2013 ESCI, Hyderabad on 01-12-2013. 34. Delivered lecture on “Types of pumps/selection of pumps and o&m of pumps” training programme for the Newly recruited RWS&S ENGINEERS,GOVT.OF A.P scheduled from 26-11-2013 to 23-12-2013 ESCI, Hyderabad on 29-11-2013. 35. Delivered lecture on “case study in RWS using RS,GIS and GPS applications” training programme for the Newly recruited RWS&S ENGINEERS,GOVT.OF A.P scheduled from 26-11-2013 to 23-12-2013 ESCI, Hyderabad on 07-12-2013. 36. Delivered lecture on “Field visit to water harvesting structures-jntu Hyderabad” training programme for the Newly recruited RWS&S ENGINEERS,GOVT.OF A.P scheduled from 26-11-2013 to 23-12-2013 ESCI, Hyderabad on 22-12-2013. 37. Delivered lecture on “types of pumps/selection of pumps and o&m of pumps” training programme for the Newly recruited RWS&S ENGINEERS,GOVT.OF A.P scheduled from 09-12-2013 to 05-01-2014 ESCI, Hyderabad on 18-12-2013. 38. Delivered lecture on “surge analysis” training programme for the Newly recruited RWS&S ENGINEERS,GOVT.OF A.P scheduled from 09-12-2013 to 05-01-2014 ESCI, Hyderabad on 29-12-2013. 39. Delivered lecture on “Field visit to water harvesting structures-jntu Hyderabad” training programme for the Newly recruited RWS&S ENGINEERS, GOVT.OF A.P scheduled from 09-12-2013 to 05-01-2014 ESCI, Hyderabad on 30-12-2013. 40. Delivered lecture on “types of pumps/selection of pumps and o&m of pumps” training programme for the Newly recruited RWS&S ENGINEERS, GOVT.OF A.P scheduled from 16-12-2013 to 12-01-2014 ESCI, Hyderabad on 20-12-2013. 41. Delivered lecture on “Field visit to water harvesting structure-jntu Hyderabad” training programme for the Newly recruited RWS&S ENGINEERS, GOVT.OF A.P scheduled from 09-12-2013 to 05-01-2014 ESCI, Hyderabad on 31-12-2013. 42. Delivered lecture on “Field visit to water harvesting structures-jntu Hyderabad” training programme for the Newly recruited RWS&S ENGINEERS, GOVT.OF A.P scheduled from 09-12-2013 to 05-01-2014 ESCI, Hyderabad on 05-01-2014. 43. Delivered lecture on “RS&GIS Application for RWS schemes” in a MoDWS, GOI, New Delhi sponsored training programme on planning, investigation, design and implementation of rural water supply multy-village schemes including use of total station and IT Applications scheduled from 16-09-2013 to 27-09-2013 ESCI, Hyderabad on 17-09-2013. 44. Delivered lecture on “Design and selection of pumps in water supply” in a MoDWS,GOI,New Delhi sponsored training programme on Establishment of operation and maintenance of rural water supply & sanitation schemes scheduled from 07-10-2013 to 11-09-2013 ESCI,Hyderabad on 09-10-2013. 45. Delivered lecture on “Design and selection of pumps in water supply” in a MoDWS,GOI,New Delhi sponsored training programme on Establishment of operation and maintenance of rural water supply & sanitation schemes scheduled from 07-10-2013 to 11-09-2013 ESCI,Hyderabad on 09-10-2013. 46. Delivered lecture on “Types of pumping systems in water supply-design selection and maintenance” in a MoDWS,GOI,New Delhi sponsored training programme on Establishment of operation and maintenance of rural water supply & sanitation schemes scheduled from 19-12-2013 to 22-12-2013 ESCI, Hyderabad on 20-12-2013. 47. Delivered lecture on “Rain water harvesting” in UGC Sponsored four week “37th orientation course scheduled from 20-01-2014 to 15-02-2014 at UGC-Academic staff college, JNTUH, Kukutpally, Hyderabad on 14-02-2014. 48. Delivered a guest lecture at VNR VJIET, Dept. of Civil Engineering Hyderabad on 19th March, 2015 on “Efficient Use of Available Water Resources for More Crop per Drop”. 49. Delivered a Lecture at Engineering Staff College of India (ESCI), Gachi Bowli, Hyderabad on “Hydrology and Irrigation Aspects for AEEs of Water Resources Dept., A.P” on 17th November, 2015. 50. Delivered a Lecture at Engineering Staff College of India (ESCI), Gachi Bowli, Hyderabad on “Hydrology and Irrigation Aspects for AEEs of Water Resources Dept., A.P” on 26th November, 2015. 51. Delivered a Lecture at Engineering Staff College of India (ESCI), Gachi Bowli, Hyderabad on “Flood Forecasting – CWC Procedures” on 2nd December, 2015. 52. Delivered a Lecture at Engineering Staff College of India (ESCI), Gachi Bowli, Hyderabad on “Flood Forecasting – CWC Procedures” on 16th December, 2015. 53. Delivered a guest Lecture at Sri Venkateswara University, Tirupathi, A.P on 19th December, 2015 on Rain Water Harvesting- Best Practices. 54. Delivered a Lecture at Engineering Staff College of India (ESCI), Gachi Bowli, Hyderabad on “Flood Forecasting – CWC Procedures” on 28th December, 2015. Hyderabad” for President, Secretary & other members of the Hill county Properties Ltd, Nizampet, Hyderabad on 19-02-2016. 56. Delivered lecture on Water Conservation, Rain Water Harvesting for the trainees of Orientation Programme under AMRUT Capsule – 2 for Public Health Engineer during 27-29 June, 2017 at ESCI campus, Hyderabad for Public Health Engineers of, Govt. of Andhra Pradesh on 27.06.2017 at 14:00-15:30 Hrs. 57. Delivered lecture on Water Audit for the trainees of Orientation Programme under AMRUT Capsule – 2 for Public Health Engineer during 27-29 June, 2017 at ESCI campus, Hyderabad for Public Health Engineers of, Govt. of Andhra Pradesh on 27.06.2017 at 15:45- 17:15 Hrs. 58. Delivered lecture on Water Conservation, Rain Water Harvesting for the trainees of Orientation Programme under AMRUT Capsule – 2 for Public Health Engineer during 27-29 June, 2017 at ESCI campus, Hyderabad for Public Health Engineers of, Govt. of Andhra Pradesh on 22.06.2017 at 09.45 – 11.15 hrs. 59. Delivered lecture on Water Audit for the trainees of Orientation Programme under AMRUT Capsule – 2 for Public Health Engineer during 27-29 June, 2017 at ESCI campus, Hyderabad for Public Health Engineers of, Govt. of Andhra Pradesh on 22.06.2017 at 11.30 – 13.00 hrs. 62. Delivered a talk on Rain Water harvesting in the Urban Scenario during the seminar on Sustainable Water Management on the occasion of General Sir Arthur Thomas Cotton scheduled to be held on 15th May, 2017. 8. Life member of Journal of Current Sciences No: 90/2007. 11. Member, BOS, Agricultural Engineering, JNT University Hyderabad.